Leadership.is is a new leadership development consultancy run by Sytske Casimir. Sytske came to us needing a visual identity for her new brand along with business cards, letterheads and a website. We chose to use the typeface Brevia Light throughout this project as it is uncomplicated but has some interesting features and a good range of weights, becoming more brush like as it gets bolder. 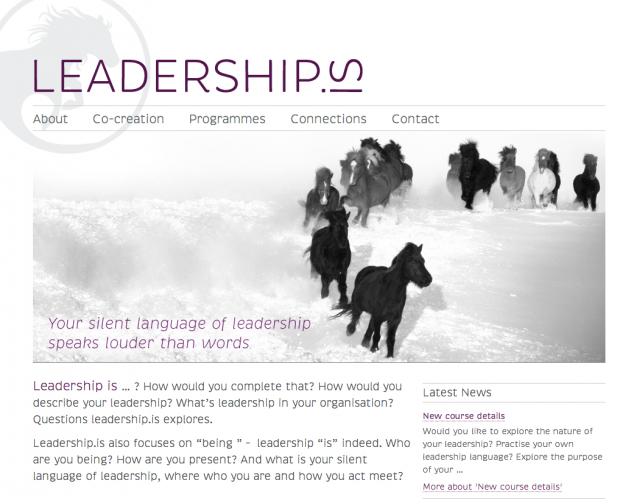 The Leadership.is website is WordPress based, with a custom theme developed by Refined Practice. As well as visually conveying the clean lines of the Leadership.is branding, it incorporates our SEO know-how under the bonnet. This project filed under Visual Identity & Graphic Design and Website Design & Development.